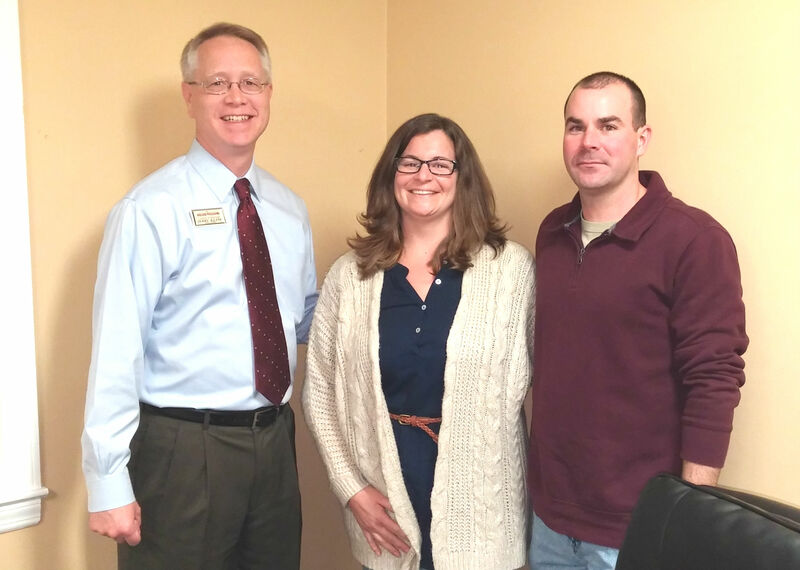 Jerry Kline (left), realtor with Keller Williams Flagship of Maryland, celebrates with Alicia & Robert Clifton, following the purchase of their new home in Pasadena, Md. Robert and Alicia Clifton completed the purchase of their new Pasadena, Md., home Dec. 22, just in time to move in for Christmas. The Cliftons relocated to the central Maryland area from Georgia to accommodate Robert’s new assignment with the Coast Guard. Avid boating enthusiasts, the Cliftons selected a large single family home with a 3-acre wooded lot, just a stone’s throw from the water and a marina. Congratulations on your new home, Robert & Alicia, and thanks for allowing me to help you with the search and purchase! If you know someone looking to buy or sell a home in the Baltimore/Washington/Annapolis area, call me at 443-924-7418. I’ll be glad to help! This entry was posted in Uncategorized and tagged Alicia & Robert Clifton, Baltimore, closings, first-time homebuyers, foreclosures, homebuyers, Jerry Kline, Jerry's clients, Keller Williams Realty, Pasadena Md., Pasadena real estate, real estate by jerryklinerealtor. Bookmark the permalink.